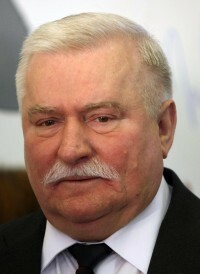 The 69-year-old Walesa, who won the Nobel Peace Prize in 1983, reportedly told private Polish broadcaster TVN, “They have to know that they are a minority and must adjust to smaller things. And not rise to the greatest heights … spoiling things for the others and taking from the majority.” Despite criticism, Walesa has refused to apologize. Posted March 9th, 2013 & filed under News.